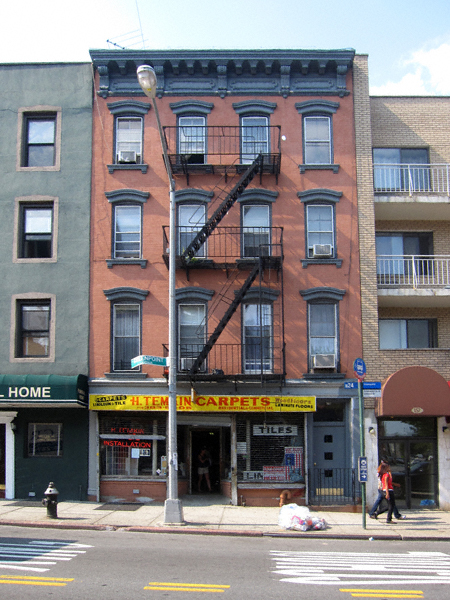 Many of you are undoubtedly familiar with delightfully old school storefront at 155 Greenpoint Avenue: H. Temkin Carpets & Linoleum. 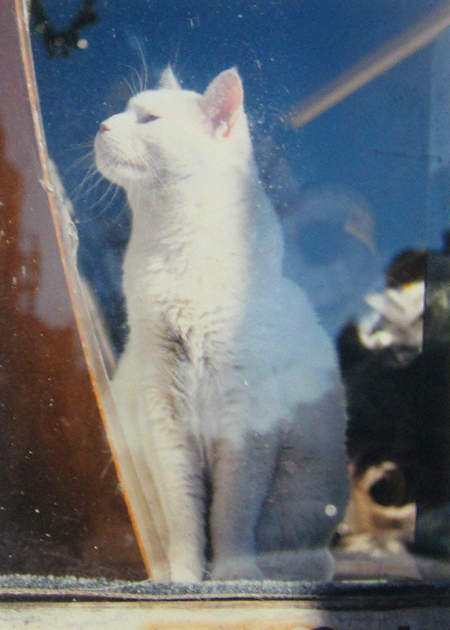 Her name was Noel and after “14-15” years of gracing the Garden Spot with her stately presence, I am sad to report she is no longer with us. Per Noel’s “person”, Allan**, she had cancer and went into a steep decline the last two weeks of her life. He did assure me, however, that he did everything in his power to make sure her last days were as painless and comfortable as possible. Goodbye, Noel. You will be missed. *Who, Allen attests, “knew” when a funeral was going to happen next door. How, you ask? 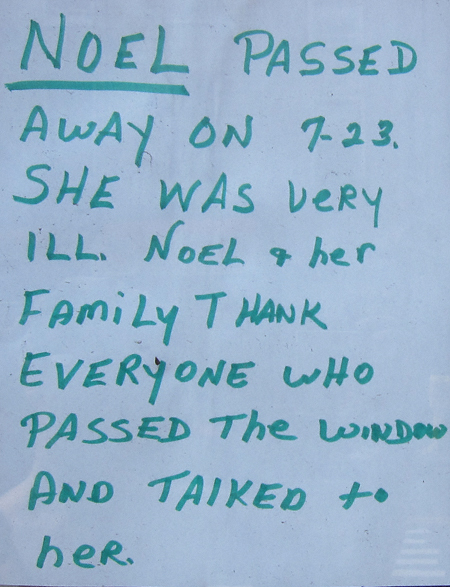 Very simple: on the day of any given funeral Noel could be found in the window, laying on her back “playing dead”. **Who is an amazingly nice and very interesting guy. As you can see.